This afternoon I have for you a Birthday card. I have been dying to get the Brusho Crystal Colours and finally did. Have been playing around with them. Wasted a lot of paper but having fun. Started off with a different design in mind and this is what I ended up with. I'm please with it and hope the recipient will be to. Wow this is just beautiful! I love the colors, texture, and shine. WOW! It is absolutely BEAUTIFUL!! Love the pretty colors you used!! I love it. It's just beautiful. I'm sure the person getting this will be amazed too and wonder how you made that background. 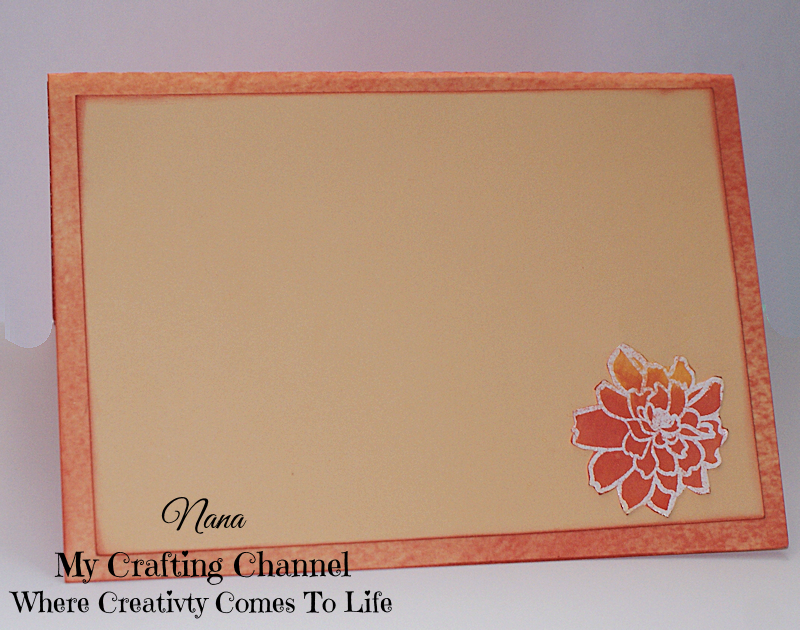 Wow beautiful card nana, I love it!!! Beautiful card! Love the gorgeous color combination and those flowers look fabulous! Awesome job on this! Great card!!! Love the colors and the sentiment is perfect!!! This card is simply BEAUTIFUL !!! Love the colors!!! Have a great day. 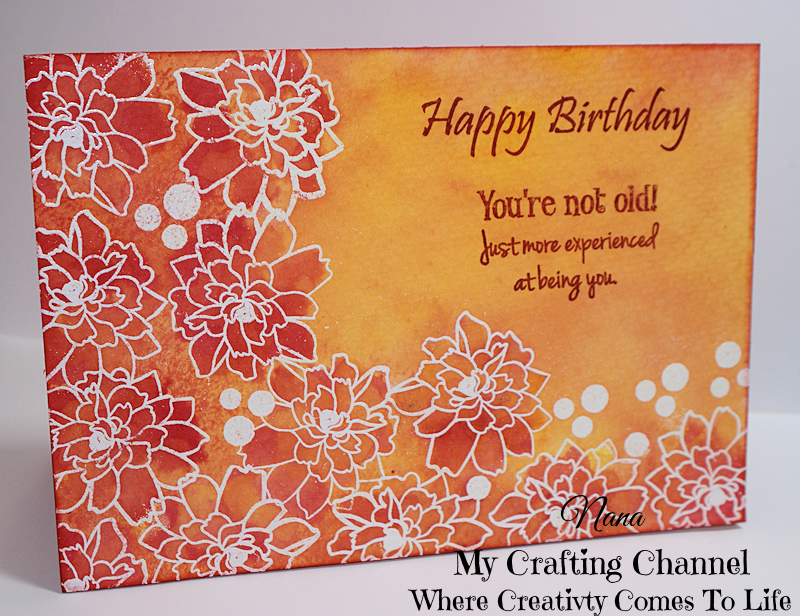 This card is stunning and I love the fun sentiment.